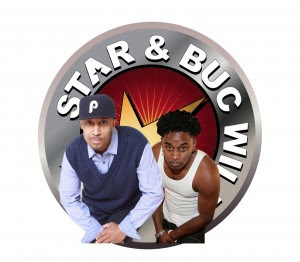 The Star & Buc Wild show returns to radio in Philly at 100.3 The Beat (WPHI) today from 6-10am. What a curious choice for WPHI to make. The controversial duo will be joined by their sidekick White Trash Helene. 100.3 The Beat has been without a morning host for a year when Charlamagne was fired following a Jay-Z diss interview with Beanie Siegel. At the time Charlamagne revealed that the station wanted to go in another direction with their morning show. Well, this is certainly another but familiar direction. I guess the only question that remains is 'How long will The Star and Buc Wild Show survive before it crashes and burns?' Now it will happen. You know it. They know it. Everybody knows it. But you have to respect Troi Torain, the mastermind behind it all, for no other reason than for his hustle. The Star and Buc Wild will make for interesting radio in the Philadelphia urban radio market as he will go up against Power 99 morning personality Miss Jones aka Jonesy. These personalities worked together at Hot 97 years ago and competed against each other in New York and Philly over the years. You better believe Star will say some sh** about Jonesy that will make headlines over the internet. (It's just a matter a time.) Now if he believes the sh** he says or not is a whole other story. But we like what Star has said in the past about the B.S. 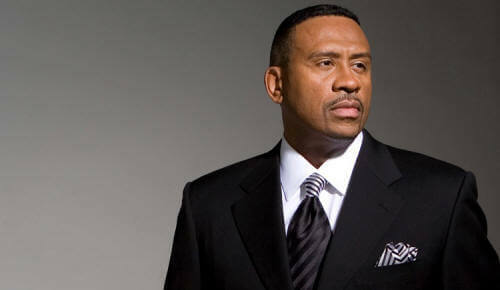 that is perpetrated onto the so-called Hip Hop community from the music industry. Respect the hustle...even if it's barely coherent.